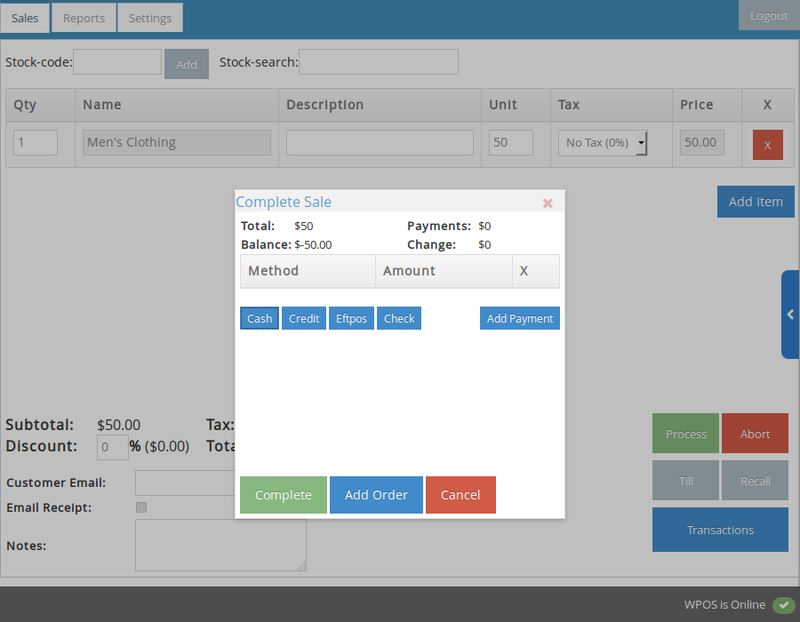 WallacePOS is an open-source, intuitive & modern web based POS & business management system. It uses the power of the modern web to provide an easy to use & extensible solution suitable for small to medium businesses. It's also compatible with standard POS hardware including receipt printers, cashdraws and barcode scanners. With a rich administration dashboard and reporting features, WallacePOS brings benefits to managers and staff alike. Take your business into the cloud with WallacePOS! Spend less time shuffling paper reports, digital ones are instantly available. Access to your business dashboard anywhere with an internet connection. Take back control of your data! All data available for export & external analysis. Configuration and item updates are delivered to POS terminals in real time. Just enter your special WallacePOS Address to get started. Registration for each device takes seconds. Offline access means you can always take sales, even without an internet connection. WallacePOS works with all major operating systems and browsers. 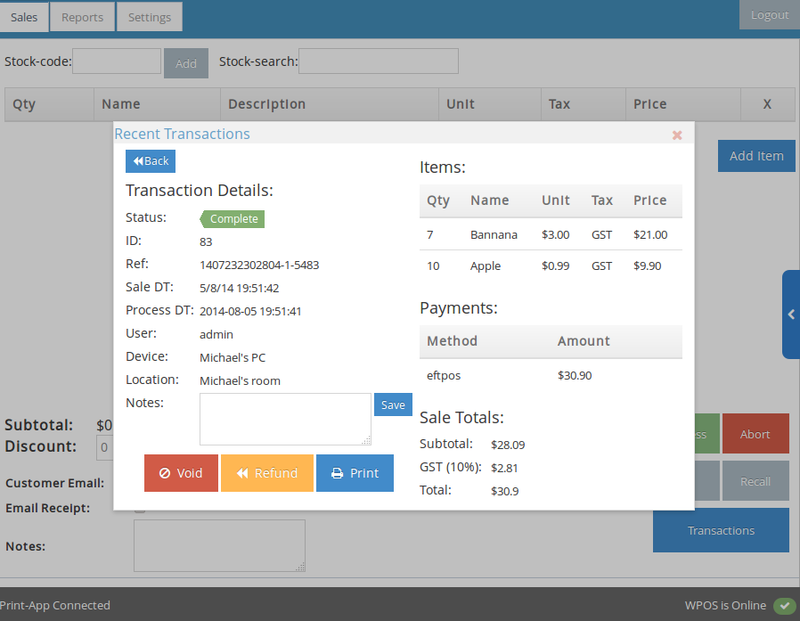 Supports POS hardware across a large number of devices and operating systems. Compatible with ESCP (Epson standard code for printers) receipt printers, cashdraws and standard USB barcode scanners.